Final results have been declared for SBI PO 2016 Exam. Candidates who have been eagerly waiting for the result can check the same at sbi.co.in. Candidates who had appeared for the main exam on 31 July 2016 can now check their result. Successful candidates have been informed by SMS, by SBI. SBI had conducted online examinations for recruiting eligible candidates against vacant Probationary Officer/ PO posts. The online exams were followed by interviews/ group discussions. After the declaration of the final list by SBI, candidates are now eligible for appointment to the post of probationary officer. 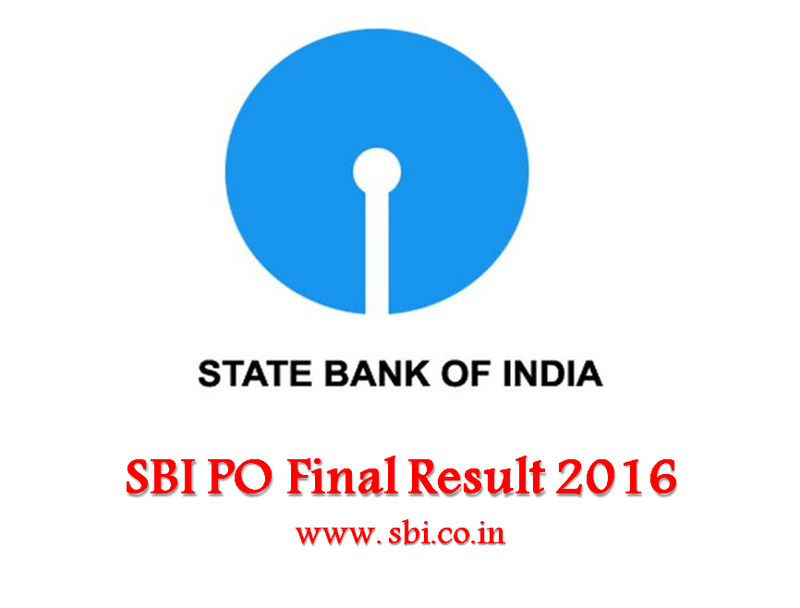 How to check SBI PO 2016 Final Result? About SBI PO Exam: State Bank of India conducts examination every year for recruitment to the post of Probationary Officer. Concurrently, examinations are also held for other posts as well round the year. SBI follows strict selection procedure for sorting eligible candidates. Online examinations are conducted followed by interview and Group discussions. Every year candidates apply in huge numbers for the examinations conducted by SBI.